I am passionate about the real estate industry with a strong focus on delivering excellent customer service at all times. 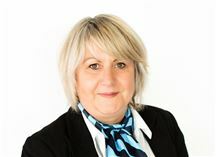 I bring managerial sales and finance experience to my role, ensuring all aspects of the property sales process are covered, providing peace of mind during a stressful period. My sales experience has equipped me with excellent negotiation skills, achieving the best possible outcome for my Vendors. If you are thinking it’s time for a change and looking to buy or sell your property, please call me today on 0437 001 330. Selling or buying a home or investment can be intense and you need someone working with you to make the process as smooth as it can be, someone who works for you to get your best outcome. My enthusiasm, warm and engaging personality and 100% commitment, along with my professionalism, straight advice and attention to detail is the key to getting the best results for you. As an added benefit when entrusting me to act as your real estate agent you actually get two agents working for you through my partnership with Michael Ziegler, we are both committed to getting a great result for you. 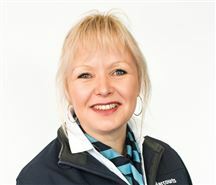 Yvonne joined our Property Management team over 12 months ago and has consistently demonstrated a genuine interest in helping people with empathy and understanding. 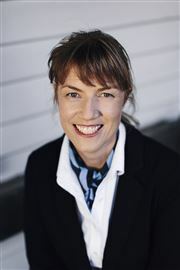 She understands the need for attention to detail and with a strong administration background and excellent communication skills, offers a friendly, knowledgeable approach to all aspects of property management. Since relocating from Adelaide 5 years ago, Yvonne has developed a love of all things Tasmanian and enjoys an active social life with lots of music and dancing! Elizabeth is also a local, growing up in the Devonport area with extended family ties throughout the region. Elizabeth and her friendly self-effacing administrative professionalism are vital to the smooth operation of The Susie Bowe Team. Elizabeth will go to extraordinary length to make sure a client is happy and provided with all the information they need’ Susie adds. Accustomed to the ringing phones, the messages, the notes and requests, Elizabeth revels in getting all the things done that need doing, no matter how big or small they may be. Elizabeth loves hearing from clients and is always happy to help in any way she can. 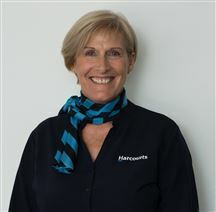 Nici is excited to be a part of the Harcourts Devonport front office team. She is looking forward to providing support and assistance to clients as well as the sales and property management departments, while learning about the real estate industry. Having previously worked in administration in a local accounting firm Nici has continually achieved excellence in customer service. She has enjoyed building and renovating many homes and has always had a keen interest in the real estate market. A spacious place to call home! Stop Dreaming - Call Today! Searching for the Quiet Life?